Temporary child custody is an important component of the trial court’s powers to protect children in North Carolina. Temporary custody in NC is covered by statutes found in Chapter 50. A temporary custody order is often entered by NC courts. Often this occurs before a final custody hearing in an effort to reduce tension and impose rules on custody. G.S. § 50-13.5(c)(2) and (d)(2) give the district court jurisdiction to enter temporary custody orders for minor children. G.S. § 50-13.5(d)(2) provides that temporary orders may be entered “[i]f the circumstances of the case render it appropriate.” That statute gives the judge a great deal of discretion about when and hot to have a temporary child custody hearing and what the order will say. In Wake County, North Carolina, if a complaint or motion for child custody is filed and there is a request for temporary child custody, a hearing for temporary child custody is automatically scheduled. That temporary child custody hearing is scheduled for two hours at the courthouse in Raleigh. Each party is given one hour to call witnesses, present evidence, and make their case for the temporary award. 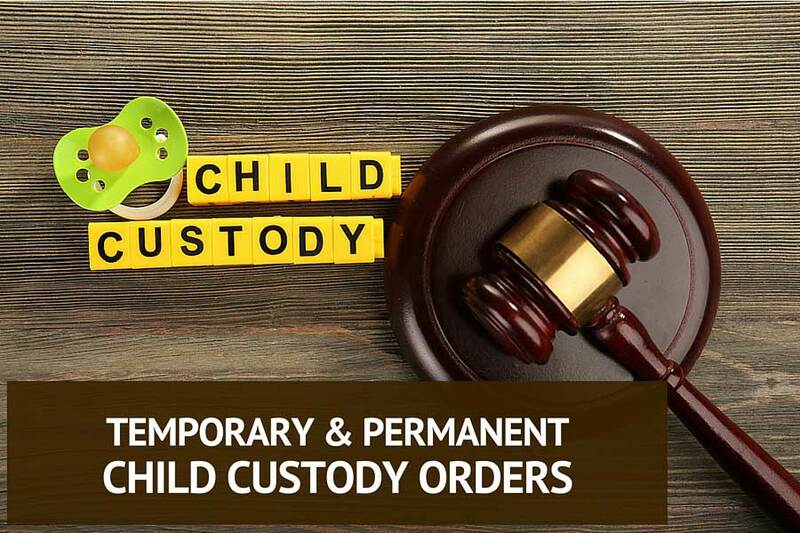 In certain custodial situations a temporary child custody order may be entered ex parte under appropriate circumstances, For example, such as when there is a risk or harm or one parent is fleeing the state with a child. The statute is clear that a temporary order that changes custody or changes the living arrangements of a child cannot be entered ex parte unless the child risks bodily injury, sexual abuse, or removal from the state for purpose of evading the jurisdiction of the court. You can find more information about emergency custody here. Ulike the rules about preliminary injunctions, a temporary custody order entered ex parte does not expire automatically after ten days. The statutes and case-law do not preclude a temporary custody hearing after a motion to modify a permanent custody order has been filed. Also, there appears to be no statutory prohibition against asking the court to modify a temporary order. Finally, just as in a full hearing on custody, the court may consider a request or make its own motion for the appointment of a parent coordinator. If you are facing the prospect of a temporary child custody hearing then you should obtain the assistance of an attorney. The temporary child custody hearing is very important because it establishes legal rights and obligations and is sometime a framework for what the permanent child custody order will look like.